The question is whether the primary will become so rancorous that it causes a lower Democratic turnout in November. If so, the Democratic ticket from top to bottom will be in trouble. Ohio history tells an important story. Three of the four last Democratic governors failed to win re-election. Two of them (John Gilligan in 1974 and Ted Strickland in 2010) narrowly lost because of a lack of Democratic turnout. If Democrats don’t go to the polls this year, they will elect Governor DeWine. The year 2018 holds the promise of an anti-Trump wave of Democratic voters but that is an unreliable hope and should not be counted on. The most dependable solution is a rock-solid effort by the Ohio Democratic Party coordinated with each county Democratic Party to produce a Democratic turnout that is 20% higher than the average Democratic gubernatorial vote. 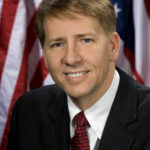 That goal will not be reached if the primary fight between Cordray and Kucinich becomes so negative that too many Democrats decide not to vote in November. Kucinich is making gun control the focal point of the primary to take advantage of the Democratic base’s furor over the mass murders at the Parkland, Florida high school. He will also try to make headway on the gun issue by criticizing Cordray’s “A” rating with the NRA. Corday’s stance on guns should be an issue in the primary but for a very different reason than Kucinich claims. Democrats must ask themselves if a liberal who is a very well-qualified candidate should be refused the Democratic nomination to be Ohio’s governor solely because the NRA likes him. Cordray’s “sin” was to make sure that a concealed carry group was not unfairly discriminated against when staging a rally on the statehouse lawn. Guns are a cultural issue. One-third of Americans own firearms. If they and their weapons were the threat many claim them to be, the death rate from guns would be far higher than it is. That’s a reality to be acknowledged but not a fact to be used to deny that too many weapons fall into the hands of people who shouldn’t have them and that something can and should be done to prevent that from happening. Richard Cordray understands that distinction and will work to enact laws to keep guns out of the hands of dangerous people. Cordray will also tell the gun lobby that the Second Amendment does not mean “anything goes.” Governor Cordray will earn the NRA’s disapproval when it discovers that he won’t take orders from them. Consider abortion. Tim Kaine, the 2016 Democratic nominee for vice president and Conor Lamb, the newly elected Democratic congressman from the 18th District in Pennsylvania, both oppose abortion personally but would not impose their beliefs on a woman who wants to have an abortion. Democrats voted for both men because those voters understood and accepted the candidates’ good faith on that issue. Richard Cordray deserves the same consideration on guns.